These articles have been posted by the editor of East Texas Exposed. Today by facebook feed reminded me that this story was posted two years ago to the day. I hope the pre-meeting is gone forever. In May 2015 the new commission tried to breath life back into the pre-meeting but wisely decided not to at the last minute. L. Discussion of and consideration of the elimination of the Pre-Commission Work Sessions held prior to City Commission meetings. I was surprised to see it on the agenda and shocked to see that Commissioner Timmins had placed it there. Commissioner Timmins has said that he wants to continue the pre-meeting. During one of the discussions he said that he liked the pre-meeting because it gave him a chance to do his homework. Last night at the city commission meeting Mayor Pro Tem Gloria Moon said she wants the city commissioner's "pre-meeting" re-instated and request that topic be put on the agenda for the next meeting. I have been writing about this useless meeting since 2012 and will be writing about it again. Here is one of the articles I wrote on the subject. OPINION: THE MISD SCHOOL BOND ELECTION -- FOR OR AGAINST? Some may think that their choice to vote neither "FOR" or "AGAINST" the school bond is a "no-brainer." Some people are against raising taxes even one dollar so they will vote "Against" under any circumstances. On the other side there are some that think we need new schools regardless of the economic impact on the community. They will vote "FOR" under any circumstances. Then there are people like me. We know that MISD needs improved schools but are concerned about the economic impact on the community. Last year I found myself in the same situation and wrote an article on the subject. Rather than repeat what I said in that article I will just post a link to that article at the end of this article. While I still have questions, I have not taken the time to research each of these items and find an answer. My lack of research is not a reason for me to vote against the bond. I reject the argument that building new schools will cause the community to grow. New buildings will only have a secondary or tertiary impact on population growth in the county. On the other hand not improving the schools can only have a negative impact on the community. Once again I am not certain that this work will be 100% successful. But let me conclude with what I said last year. This article is not critical of the current city commissioners, unless they were on the commission in 2010. The current commission is living with the mistake made in 2010. 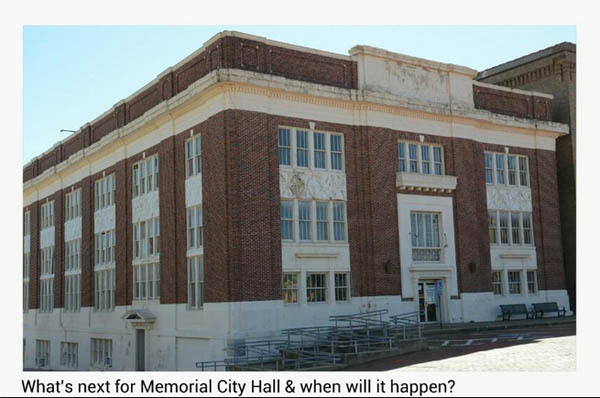 On August 17, 2012 I wrote an article titled: OPINION: THE CITY HAS LOCKED ITSELF INTO RENOVATING MEMORIAL CITY HALL – PLANNED OR A DUMB MISTAKE. In 2010 the city commission prematurely contracted for $2.1 million dollars in certificates of obligation for the MCH project. I say prematurely because the commissioners had no good estimate on the true cost of the project. Commissioner Ed Hoffman pointed this out, strongly objected to the sale and voted against selling the certificates at that time. Unfortunately the other commissioners voted for the premature sale. The mistake that the 2010 City Commissioners made continues to cost the City money. Even though there not a completed set of drawing for MCH and there is no start date for construction, the City continue to pay interest for the certificates of obligation. On Wednesday I posted an article titled: " OPINION: IT IS TIME FOR MARSHALL TO RECOGNIZE THAT WONDERLAND OF LIGHTS IS A LOCAL FESTIVAL." In generally the people that have contacted me about the article have agreed with the article but there were a few exceptions. Those that disagreed had a common theme. That theme is "we need to keep promoting Wonderland of Lights throughout the state because that is what Marshall is known for around Texas." People have told me that when they tell someone they are from Marshall the first thing the person says is "oh that's the town with the Christmas lights." I asked these people if they had ever ask the person the following question "have you ever come to Marshall to see the Christmas lights?" None have ever asked that question. In my opinion if they had asked the question 98 percent of the people would have responded "NO" and the two percent that came came in the 1980s. We should also ask people that have located their business in Marshall "did the fact that Marshall has Wonderland of Lights impact your decision to locate your business in Marshall? " My guess is that all would respond quote "no." It's not always a good business decision to spend dollars advertising what the city has been known for. Before people start throwing rocks -- let me say that I am NOT proposing that Marshall eliminate its beloved Wonderland of Lights. This year the festival was managed by city staff. In my opinion they did a very good job. It was well organized and although the final numbers are not in I predict it was done within the allotted budget. Based on personal observations I think the crowds this year were as big if not bigger than in previous years. I would say that 98 plus percent of all people in attendance were local -- meaning they came from Marshall and the surrounding communities all within 50 miles of Marshall, most within 20 miles. The local hotels are unable to provide any numbers on how many overnight visitors stayed at their facilities as a result of Wonderland of Lights. So we do not know its impact on Hotel Occupancy Funds. The quality of the festival improved in my opinion. The festival lost the carnival-like atmosphere it had for the past 3 or 4 years. This did come at a cost -- there were a large number of complaints about there being too little to do. Last night one of EastTexasExposed .com readers said that in my latest opinion article I stated that ex-City Manager Frank Johnson was responsible for the failure of Marshall's tourism effort. That was not the intent of my article. I was expressing my opinion that establishing of a Department of Tourism and Promotions inside of city government was a bad idea and not consistent with recommendation from city-hired consultants. While Mr Johnson contributed to the failure of the tourism effort many other people, including myself, also contributed to the failure. The Brand Development Committee / Convention & Visitors Bureau was assigned primary responsibility for executing the tourism plan and provided adequate resources to successfully implement the plan by the city . The BDC never systematically worked on implementing the tourism plan. Marshall's effort to improve tourism never showed positive results. Therefore the primary responsibility of the failure of the tourism plan must be assigned to the BDC. They are not alone in being responsible for the failure. The city, the Chamber of Commerce, the Main Street program and private individuals like my self also must share that blame. All that being said I still think establishing a Tourism and Promotions Department inside of city government is a bad idea. Consider authorizing the Acting City Manager to establish a Tourism and Promotions Department for the City of Marshall and to begin the search for a Director of Tourism and Promotions. If the City Commission agrees to this request it will be acting contrary to the advice of every tourism consultant that it has hired during the last 6 years. 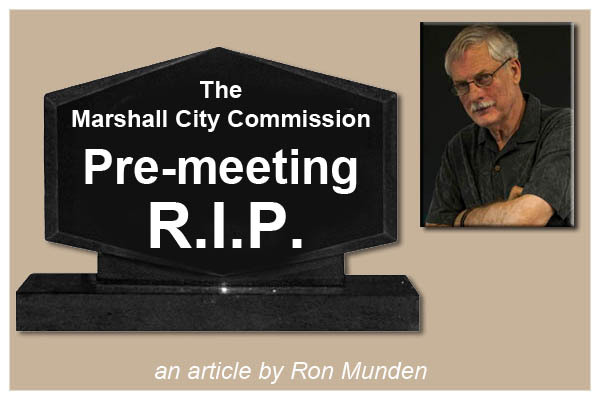 During the development of Marshall's tourism plan ex-City Manager Frank Johnson spent many hours trying to convince the consultants that the tourism office should be a part of the city and it should report to him. The consultants rejected this suggestion and instead recommended that the tourism office be established as a independent 501(c)3 organization and have an contractual arms-length arrangement with the city. 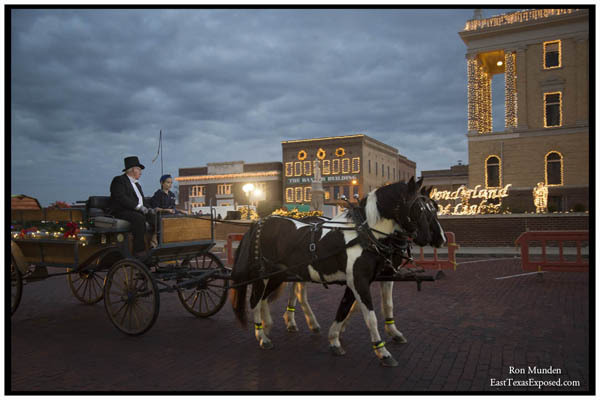 In December of 2013 the City hired John Kelsh to review its tourism effort and make recommendations. Mr. Kelch recommended that the CVB and the Marshall Main Street program be combined and that they be operated as a independent, standalone 501(c)3 organization which would operate with a arms- length contractual relationship with the city. The city has spent thousands of dollars on consultants. If the City Commissioners agree to establish a tourism organization within the city, it will reject the advice of every consultant that it has paid. On most Saturdays and Sundays I arrive at office just off the square at about 10:30 A.M. to 12 P.M. This what I see almost every week. A dead downtown -- not a tourist to be found. Anyone that takes a look at Marshall's seven year - $3.5 million project to increase tourism must admit that the project was a complete failure. There is almost nothing to show for this expensive project. Today the city finds the tourism effort dead-in-the-water. We will never know if the tourism plan developed by Destination Development could have worked or not. The implementation of the plan was so mismanaged there was no chance it could have succeeded. Marshall never made a serious effort to implement the plan. People never systematically worked on executing a project. 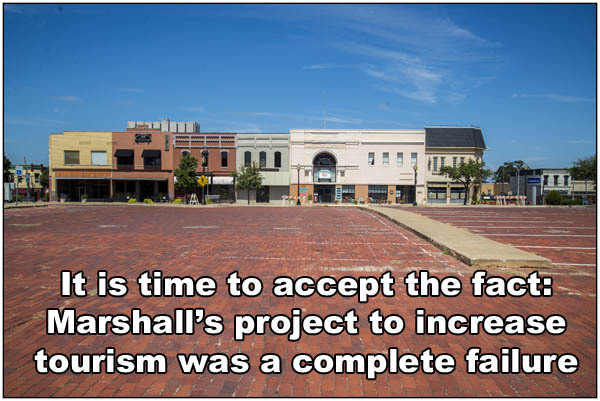 Based on 30+ years of project management experience, if a project is managed like Marshall managed the tourism plan there is a 95% chance the project will fail. That is what Marshall got--a complete failure. I say Marshall because this was a failure of the entire community. While the BCD/CVB is at the head of the list since they were assigned the responsibility for executing the plan, there is plenty of blame to go around. In June 2011 WorldPay representatives convinced me to try accepting their credit card for a monthly fee of $10 per month plus a percent of all purchases. They assured me I could cancel at any time. I never used their credit card -- never have, never will. Never received any service from this company. With added fees I paid them $14.52 per month for the first year. Since I never used the service I decided to cancel the service at the end of the year. I was told that I could cancel but there would be a cancellation fee $495. The WorldPay representative said I had a three year contract. Since 36 payment of $14.52 equals $523 and I had already paid for the first year I determine that it would be cheaper to continue paying the 14.52 per for the next 24 months. Unfortunately, Woldpay began to increase the monthly fee over the next two years. The monthly fee increased to over $50/month. At that point I requested my bank to stop paying Worldpay. At the point I stopped payments I had paid Worldpay about $1000. Last week Worldpay withdrew $495 from bank account. A charge I got reversed by the bank since I had not authorized the payment. I also got a letter from a collection agency. Woldpay had turned over a $375 debt to them for collection. This is the letter I wrote to the collection agency. 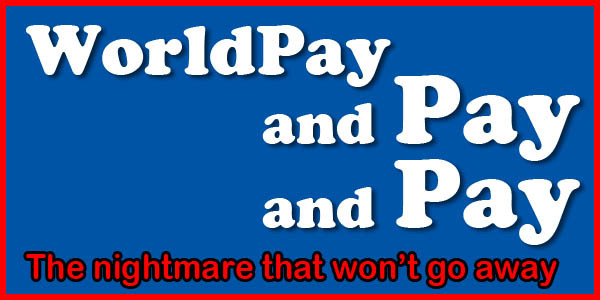 Bottomline: Small businesses don’t do business with Worldpay.